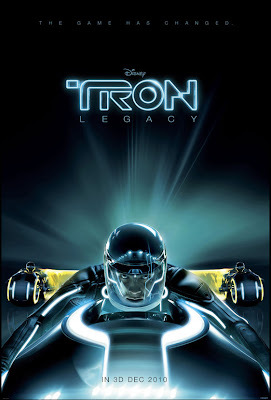 Synopsis:'Tron Legacy' is a 3D high-tech adventure set in a digital world that's unlike anything ever captured on the big screen. Sam Flynn (Garrett Hedlund), the tech-savvy 27-year-old son of Kevin Flynn (Jeff Bridges), looks into his father's disappearance and finds himself pulled into the same world of fierce programs and gladiatorial games where his father has been living for 25 years. Along with Kevin's loyal confidant (Olivia Wilde), father and son embark on a life-and-death journey across a visually-stunning cyber universe that has become far more advanced and exceedingly dangerous.